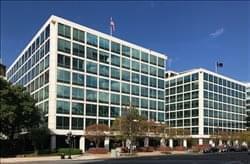 Find My Workspace lists over 95% of the executive office suites market in Washington DC. Simply click Request Quote to check pricing for one office, or Add to Basket for multiple offices. Located in the locally renowned and highly luxurious Foundry building and situated along the C&O canal, this exquisitely furnished and executive, high quality business center and corporate workspace provider is set in the very heart of Georgetown. The site’s well-appointed and exceptional quality workspace features an exposed brick décor that is sure to impress your most effete of clients. On-site facilities include spacious meeting rooms, high speed internet connections, professional reception areas, administrative services, security teams available, technical support and assistance, specialist on-site management, conferencing facilities and more. 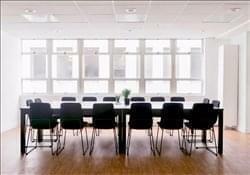 This center has fantastic local transport links and comes well equipped with on-site amenities such as; meeting rooms, access to a kitchen, air conditioning, meeting rooms, high speed internet and office cleaning facilities. The space offers private serviced offices as well as coworking spaces, perfect for a range of business needs. The inspired design of the center lends itself to creative thinking, and with an abundance of natural light this is a fine space to spend your working day. Dupont is in DC’s walkable central business district. We were recently named one of the most beautiful coworking locations in DC. So it’s no wonder this shared workspace is a creative collaboration hub for professionals. You won’t need to worry about what to eat for lunch, we are steps away from all of the fast-casual restaurants. Stop by today for a tour! Get your team ready for this nice comfortable, clean, collaborative workspace. You’ll have room for everyone to relax an enjoy their day. A cozy seating area is perfect for breaks or breakout sessions. The design palette’s deep tones and leather accents create a professional, focused environment to help you get things done. Located in the heart of Washington D.C.’s Chinatown, this versatile space for large teams features a private elevator that opens directly into the unit and floor-to-ceiling windows to let in tons of natural light. A kitchenette towards the rear provides an ideal serving space for catering while an additional conference room allows for flexible breakout space. This exceptional city center corporate location will put you within walking distance to all the corridors of power in DC, the heart of power and prestige in the world’s leading economic and commercial presence. Complete with an exceptional range of high quality, premium and state of the art facilities and technical equipment; this prestigious and luxurious business location is representative of the area’s very best in corporate workspace solutions and is one of the leading centers for value and high quality in all of the thriving city of Washington DC. The building’s eye-catching design and wide range of included facilities makes this the ideal corporate location for occupying tenants. This centre is located on 30th St NW Washington, DC 20007 in the penthouse suite of Georgetown Place and next to the Four Seasons Hotel. These offices and suites provide Potomac and Canal views and various configurations for your office requirements. The experienced and friendly staff will answer your calls and book your next meeting in one of our equipped conference rooms. This phenomenal and highly prestigious business centre establishment is ideally located in a beautiful class A office building in Washington, D.C. with direct access to Farragut West Metro station across the street as well as Farragut North station one block away and a significant array of exquisite furnishings and on-site provisions available as standard, including technologically innovative facilities and equipment. This is an eleven-story office building with a three-level parking garage, located at the intersection of 18th and Eye Street, in northwest DC. Located in the heart of the Central Business District. Global coworking provider of beautiful and inspiring private offices and spaces for teams of all sizes. It’s time to expand your mind, network and business, make connections that matter and introduce your team members to an artistically designed workspace that will help them realize their dreams. Your vibrant community awaits. The beautiful and inspiring spaces give innovative companies of all sizes the opportunity to thrive in the local startup ecosystem. Become part of a vibrant community and network that will help you unlock your business potential. Plus, our friendly Community Managers are on-site to help facilitate meaningful connections for you, and to take care of all of your daily needs. Expand your mind, network and business by opening the door to a beautiful, new way of working. The inspiring spaces give innovative companies and startups the opportunity to set up shop among industry leaders and millennial talent, celebrating the local startup ecosystem. Forward-thinking enterprises understand that this is where greatness happens, taking their project teams outside corporate walls and into a community that drives speed and out-of-the-box thinking – letting their teams run fast and free. Traveling? Feel right at home at the best spot in town with superb meeting facilities and a caring local community to show you around. K Street places you in the center of Northwest DC. Steps from The White House and adjacent to Dupont Circle, this location lands you amongst leading businesses, nonprofits, and federal agencies. Our offices include direct access to the Metro and Capital Bikeshare ensuring that your commute won’t take an act of Congress. Stop by today for a tour, we look forward to meeting you! 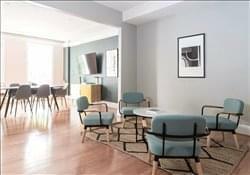 Located in the heart of the Central Business District, this luxurious, modern facility is full of natural light. An impressive space offering fully furnished offices. With plenty room, lots of natural light and a lunge are just to sit and relax this space is perfect for your team. Make a statement that your business belongs “On the Hill” with this beautifully designed and exceptionally serviced and equipped workspace provider. Impress both professional clients and executives with unbeatable views of the world renowned U.S. Capitol from our rooftop terrace area and benefit from the ideal and short walk to the Senate Office Building, Supreme Court, and the SEC. Your professional clients and valued employees will be lobbying for happy hour with so many bars, restaurants and excellent leisure pursuits and entertainment venues nearby. Stop by today for a tour, we look forward to meeting you! Located just steps from our nation’s Capitol. This space lets in lots of light and is perfect for your team’s. This space features 2 walls of whiteboards – perfect for all your brainstorming meetings and has lots of space for all your creative needs. 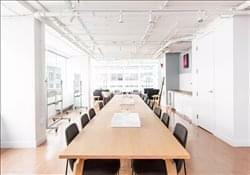 In Dupont, on the edge of Georgetown and Embassy Row, this is a unique space bathed in natural light, perfect for your team. Comfortably accommodating your team equipped with a whiteboard and television, it’s perfect for your next presentation or brainstorm session. This location is an ideal destination for your team’s next office. 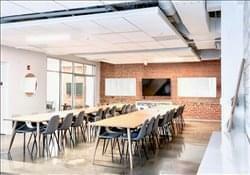 Located in the heart of downtown off Pennsylvania Ave. this space has windows throughout the space gives wonderful natural light and provides a change of scenery from your traditional office setting. It has a modern kitchenette en-suite and a breakout lounge area just to sit and relax. Located in a stunning new building in Eastern Market, this upcoming location in the Capitol Hill district is the perfect business space. The center combines private and shared workspaces with stunning lounges, conference rooms and common areas to inspire collaborative conversation. With beautiful views of the city and close proximity to prime retail, restaurants and other amenities, this location will cultivate a productive, inspiring work space. 24-hour access is available, along with amenities including a fitness center, WiFi, meeting rooms, reception services and postal facilities & mail handling. You secure one of the most prestigious addresses in the nation’s capital and we take care of the rest. Neighboring the famous  Willard Intercontinental Hotel, where the term “lobbyist” was first coined and The Occidental Restaurant,  where DC’s  power brokers negotiate deals  over lunch. Stop by today for a cup of coffee and a tour, we look forward to seeing you! Located on the “most famous street in the world”, the freshly renovated workspace makes you a global neighbor. The seat of power has never been easier to get to with two Metro stops close by. The World Bank and the IMF round out the neighborhood, we think you’ll fit right in. Stop by for a cup of coffee and a tour today, we look forward to seeing you soon! This space has lots of room, This space is the perfect and cozy that has great natural light. Just the things you need for a productive day. Your team will get plenty of Ideas flowing in this ready to move in office. Bathed in natural light, this space is the perfect neutral ground for your team. It has great views and all the amenities you need to focus and get productive. With a view of the beautiful courtyard in the center of the building. 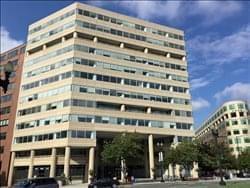 With a prestigious location in the heart of Washington DC, this center offers and unparalleled office experience. with members coming from a variety of industries including creative agencies, growing start-ups, and professional services firms in real estate, consulting, finance and legal, this space is perfect for all business needs. As well as private office space for teams up to 40, limited coworking space is available along with dedicated desk memberships; members can enjoy the productivity of a private office, combined with the energizing atmosphere of a close community. 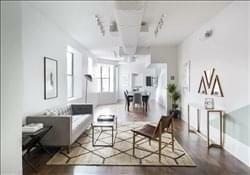 This one of a kind space, located in the heart of Washington D.C.‘s oldest neighborhood, Georgetown. This location is a stand-alone center, big enough to host an in-house large event for your team. Adaptability is paramount, with multiple furniture layouts to suit your needs. Multiple televisions and an optional projector, are available for presentations, and a full kitchen on the 1st floor. To obtain information for your selected Washington DC Executive Office Suites, please tick the "Add to basket" box for each office you prefer and complete the form below. We will then send a detailed report via email.